Armpit stains or “pit stains” are seriously… the pits. Some more yellow and others more gray, stains from sweat or perspiration are caused by the combination of natural body oils, deodorant, and fabric absorption. While it’s a common problem, it doesn’t make it any less embarrassing! Don’t sweat it. We’ve conquered the pit stain and so can you. 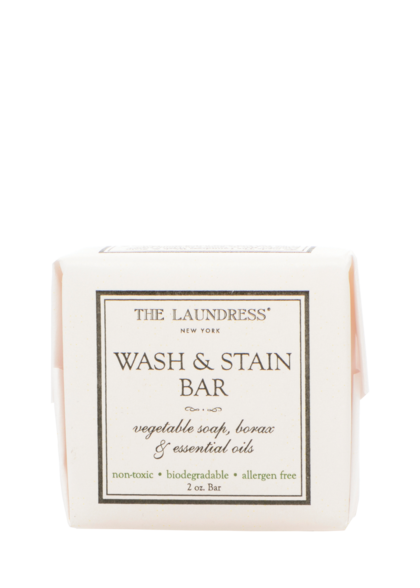 Apply product: Our Wash & Stain Bar is ideal for removing pit stains from silk and delicate items. Work the stain: Create a lather using the soap and gently work it into the material. Make sure to use tepid/lukewarm water. Soak up to 30 minutes: Soak the item in a basin filled with tepid/lukewarm water. 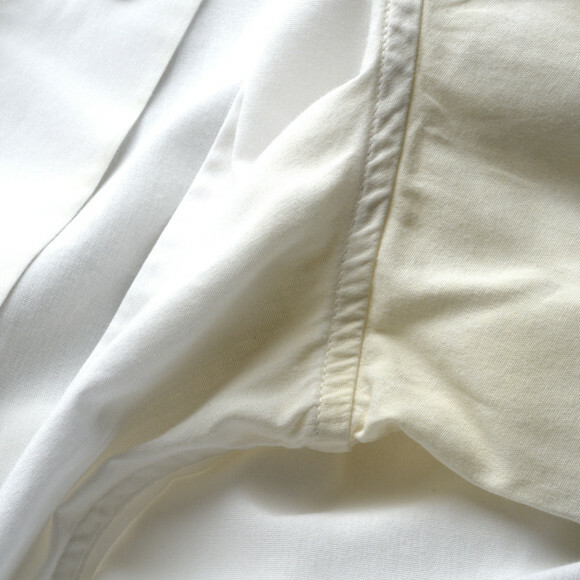 Never soak silk for longer than 30 minutes. To remove odor: Add ¼ cup white vinegar to the water when soaking. We use our Scented Vinegar. Launder the item: Wash according to our washing instructions. Preventing pit stains: Ward off pit stains by pretreating items before every wash. Simply apply our Stain Solution or use our Wash & Stain Bar on pit-stain-prone areas before laundering. Our recommendations: Our recommended stain and odor removal methods are solely based on use with The Laundress products. Our products are safe for colors, darks, and whites. We cannot guarantee the safety or success of products from other brands. Using bleach: We don’t recommend using chlorine bleach on stains or odors, ever. Not only does chlorine bleach deteriorate, degrade, and weaken fibers, it’s not color-safe. In fact, it can cause whites to yellow and make certain stains even worse, such as rust stains. Instead, we use All-Purpose Bleach Alternative. Like all products by The Laundress, it’s color-safe. Drying: Do not put stained items in the dryer. Ironing: Do not press stained items.